Do you need Lighting Services? Click here. 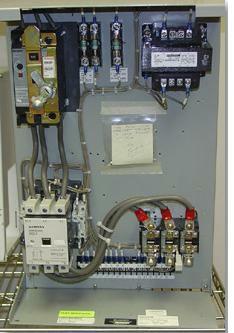 IEM’s Electrical Division is managed by unlimited license electricians. The IEM Electrical Division provides engineering consultation and AutoCAD prints for completed jobs. Do you need electrical personnel on a temporary basis? We can supply the people for as long as you need them. All of our trucks are equipped with cellular telephones, and our electricians are cross-trained as trouble-shooters of controls and motors, giving us tremendous flexibility. Our reputation is our most important asset and every employee of IEM Electrical Division takes seriously their responsibilities in helping establish and maintain friendly, long-term, and professional relationships with our customers. We offer a wide variety of services and products to meet our customers’ needs and to help them insure maximum productivity, minimum downtime, reduced operational and maintenance costs, and optimum safety. IEM can take a motor control project from an idea or design, prepare a wiring diagram, determine the components for the enclosure and complete a fully automatic control system for a variety of commercial or industrial applications.